In this weeks blog we offer our advice and best practice guidelines to those who may be new to the hobby to make sure they don’t end up in any difficulty with local and government authorities. 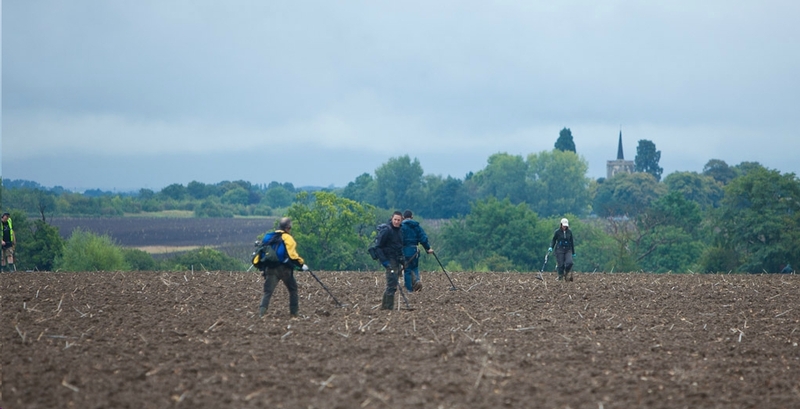 I was asked if there was any particular etiquette when starting out in metal detecting, so I have done some research and found the following list from the National Council for Metal Detecting. 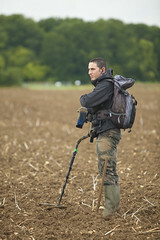 Most of it is common sense, but it is a great “refresher” or introduction into the exciting world of metal detecting as we have come to know it. Wherever the site, do not leave a mess or an unsafe surface for those who may follow. It is perfectly simple to extract a coin or other small object buried a few inches below the ground without digging a great hole. Use a suitable digging implement to cut a neat flap(do not remove the plug of earth entirely from the ground), extract the object, reinstate the grass, sand or soil carefully, and even you will have difficulty in locating the find spot again. Report all unusual historical finds to the landowner, and acquaint yourself with current NCMD policy relating to the Voluntary Reporting of Portable Antiquities. Remember it is illegal for anyone to use a metal detector on a designated area (e.g. scheduled archaeological site, SSSI, or Ministry of Defence property) without permission from the appropriate authority. (1)Treasure contained in the Treasure Act 1996 and its associated Code of Practice, making sure you understand your responsibilities. (2)Advice for Finders of Archaeological Objects including Treasure 2006.